15 ways to prepare your home in Huntingtown MD, Chesapeake Beach MD or Dunkirk MD for the winter months! Now that fall is officially here, it's time to start thinking about what you can do to prepare your home for the winter months. These steps, most of which you can do yourself, could save you hundreds of dollars on your energy bill during the cold winter months to come. 1 step is to reverse your ceiling fans. 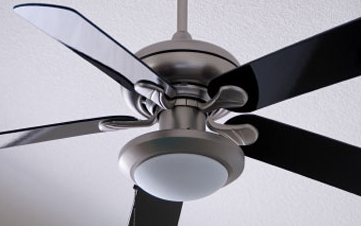 If your ceiling fan has a reverse switch, use it to run the fan's blades in a clockwise direction after you turn on your heat. Energy Star says the fan will produce an updraft and push down into the room heated air from the ceiling (remember, hot air rises). This is especially helpful in rooms with high ceilings -- and it might even allow you to turn down your thermostat by a degree or two for greater energy savings. To read the other steps, click here and view the full article, published by Kiplinger.com.